> Blog > Articles > When Is the Right Time to Replace Home Appliances? · Is the faulty appliance giving you trouble too often? · How much will it cost to fix it? · Were you planning to get a new one anyway? · Is this your own home or rental? Sometimes, appliance service costs are high, especially if you have to replace the motor or many parts. And so if the appliance is too old, this is your chance to get a new one. But then again, it has to do with the house. Is it yours? If not, you need to check the contract. In either case, remember that new appliances are not cheap. But you can find good bargains. So if this is a rental, you might decide to get the cheapest new appliance. Homeowners don’t usually like to buy cheap appliances. 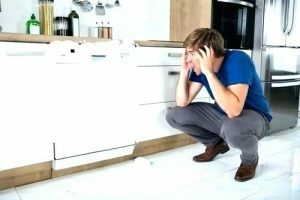 In this case, you should ask a local appliance service technician how much it will cost to fix it. That’s often to your best interest especially if the appliance hasn’t broken down all too many times. Should you let home appliances die before you replace them? If it comes to that, your appliance is in your kitchen or laundry room for way too many years. Appliance problems are often fixed by replacing one or more components. 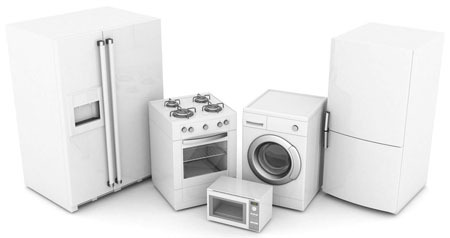 You should consider appliances replacement though if they start breaking down often. This is a sign that their lifespan slowly comes to an end. When this happen, they end up costing you more to maintain than to replace them. And don’t forget that it’s best to take your time to find the right washer & dryer or kitchen appliance and don’t rush to making quick decisions. But your decision has to do with the type of appliance as well. You might call for fridge repair once, twice or more. But when the refrigerator starts giving you trouble frequently, you need to replace it. Fridges and freezers are perhaps the most important home appliances followed by ovens and stoves followed by dryers and washing machines. It might not be convenient but you can live without the microwave or dishwasher for a week. But not without the above appliances. Appliances should solve and not create problems. When their issues start relating to your safety, it’s a good reason for replacing them. But keep in mind that often safety issues are caused by poor maintenance or installation. So whether you decide to fix or install, hire a home appliances repair technician to assist you to avoid such troubles.